Kristy Farber came to Mercer Island Presbyterian Church at the start of 2016 with an excitement for the ways God is at work in the church community here. She loves helping people connect with God and neighbor through worship and service and she gets the chance, every day, to work with incredible people who are authentically living out their faith. 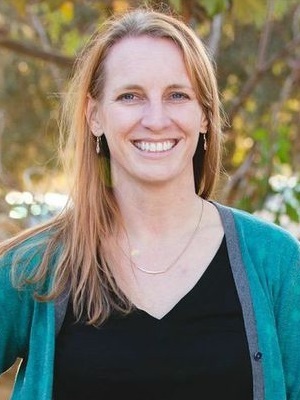 A proud graduate of the University of Washington, Kristy also has Master in Teaching from Seattle University and a Master in Divinity from Princeton Seminary and spent time teaching and working in campus ministry before heading to seminary. Just before starting at MIPC, she served as a pastor at Grace Covenant Presbyterian Church in Asheville, North Carolina. In the rest of her life, Kristy loves to be outdoors with her family, she pays for a YMCA membership that she wishes she used more, she falls asleep reading memoirs most nights, and she is learning to speak Spanish from her young children. Lindsay Murphy was born and raised in North Seattle. As a true child of Seattle she learned how to recycle and play in the rain at a young age. She was involved in a wonderful youth program in Shoreline that put high value on discipleship and leadership. Lindsay attended Westmont college in Santa Barbara where she discovered a love for theology and missions, along with a passion for surfing and warm weather. The hand of God led her back to the Northwest to become an intern at MIPC for two years before she headed off to pursue a call in full time ministry via Princeton Seminary. Lindsay eagerly returned to Mercer Island July of 2007 and has enjoyed being a part of this community ever since. Lindsay is continually impressed by the youth of our community, the questions they ask, the gifts they posses and their passion to engage in peace and justice in the USA and the world. She is also grateful for the support and partnership of the parents and adults in the community that pour time, money and lots of love into the Student Ministries program. Lindsay married Peter Murphy in December 2010. Julie Garrett, Children's and ROCK Admin.